What is the ideal space for an acrylic piece? Acrylic is a great way to showcase vivid images and bold color schemes. The translucent nature of acrylic allows natural light to interact with and provide depth to the image. Art on acrylic provides a very clean, contemporary look that presents well in modern spaces. How are acrylic pieces mounted to the wall? Acrylic art can be mounted to the wall three ways: (1) with one-inch brushed stainless steel standoffs (“pucks”), (2) with one-inch brushed stainless steel locking standoffs, or (3) cleated with ½” rigid PVC (only available on “sandwich” pieces or pieces with white backing). What is the most commonly used method to mount acrylic pieces? 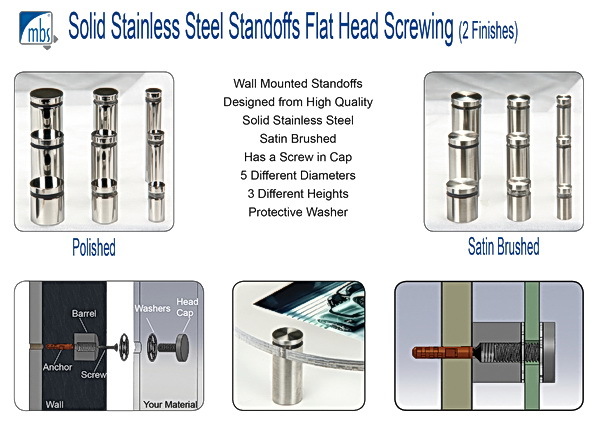 Mounting acrylic pieces with one-inch brushed stainless steel standoffs ("pucks") is the most common way to affix acrylic to a wall. To accomplish this, four (sometimes six depending upon the size of the image) small circular holes are drilled into the corners of the acrylic. The metal standoffs are then placed in the holes and screwed into the wall. Once mounted, the acrylic piece will sit one inch away from the wall. What types of acrylic pieces are available? Holes drilled in 4 corners of each piece (center on border or 1 to 1) (10 mm hole size for 1”standoffs). Oversize pieces may require 6 or more holes/standoffs. Why do you use PETG and polycarbonate instead of standard acrylic? Using standard acrylic for large-scale pieces can result in the substrate material cracking and/or the ink peeling off the substrate. As such, we now use PETG, another type of acrylic, because it provides the best results and is the most cost effective solution. PETG exhibits better ink saturation and is more durable than standard acrylic. 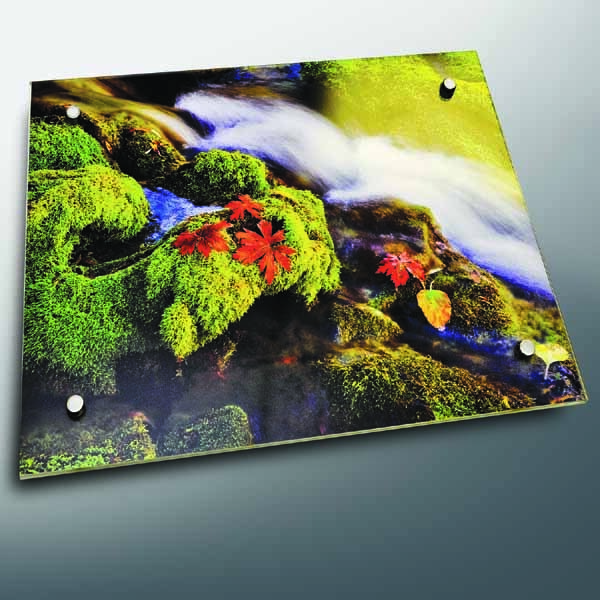 What is the turnaround time for acrylic art production? Typically, the turnaround time for acrylic art pieces is 2-3 weeks. Who coordinates acrylic art installations? You may choose to find an installer yourself, but we are experts at coordinating low cost, quality acrylic installations for clients. We will hire a local, qualified art installer to install your acrylic pieces. Our art installer will install the pieces in accordance with our installation instructions and specifications. All installation costs (should you want us to install the art) will be included in the quote provided to the client. How do I clean acrylic pieces once they have been installed? You can use a soft cloth or feather duster to clean your acrylic art. It is not recommended that you use chemicals, cleaners or abrasive cloths on this substrate because their use could cause damage to the acrylic.